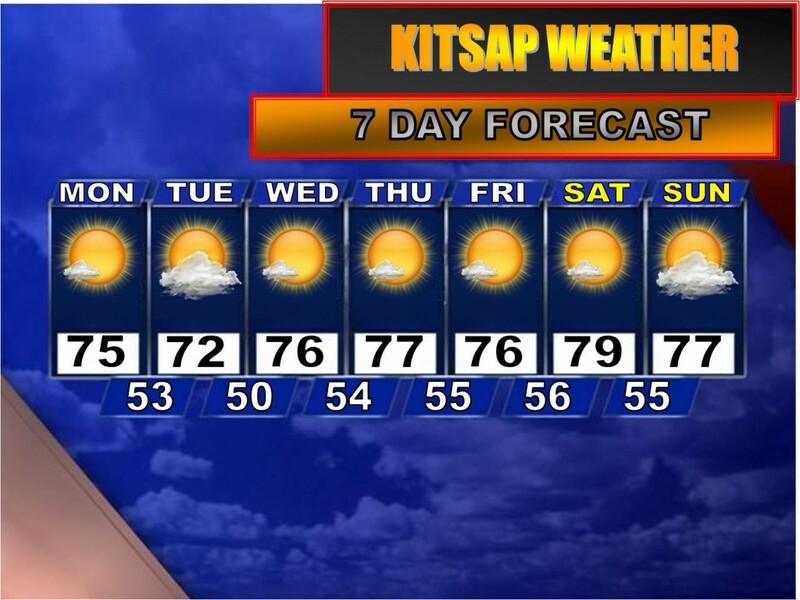 Early Signs of Fall in Kitsap! 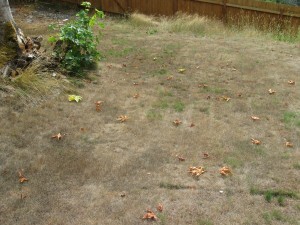 There’s some weather folklore that say early signs of fall preceed a harsh winter. To comment just briefly on that, the first year I really noticed early fall colorations in the area was late in the summer of 2006, the same summer where we had a rather impressive July heatwave (sound familiar?). That winter featured arctic air, snow and flooding. 2007 had some early coloration, but not as early, occuring moreso around mid September. That winter was not as harsh as ’06-’07, but still plenty cold and wet. 2008 featured another episode of coloring in August. What followed was the coldest and snowiest December in the past 20 years. Maybe there might be some truth to that folklore because these things stem from some form of truth, but I guess we’ll have to see what happens. Speaking of fall/winter, I mentioned last week that I had picked up the 2010 Old Farmers Almanac from a Provo bookstore and I would like to make some commentary on what I read tomorrow. Pretty interesting stuff if I do say so myself! As for this week, we’ll have a nice mix of cool, seasonable and warm weather. After a pretty cool day today, tomorrow looks seasonable with partly to mostly sunny skies and highs in the mid 70s. Cooler weather arrives for Tuesday with even a few showers possible, but the sun returns for Wednesday through the rest of the week into the weekend. Highs during this period could even nudge (or break) 80 degrees. And here’s what we have planned for this week as far as blog posts go: an inside look at the Old Farmers Almanac and what predictions it has in store for this winter, evidence that the winters in Kitsap are getting colder and are reaching the lowest levels we’ve seen since the 1940s, the definition of the “Chemtrail Conspiracy”, and a peek ahead into the long range so we can prepare for either more summer-like weather or a downhill trend to more fall-like weather. I’m glad I’m not the only one noticing this. 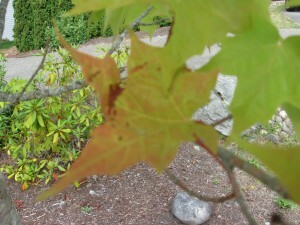 I saw leaves falling and trees starting to turn color as early as late July and I wondered about that then. I guess we’re going to have another interesting winter. 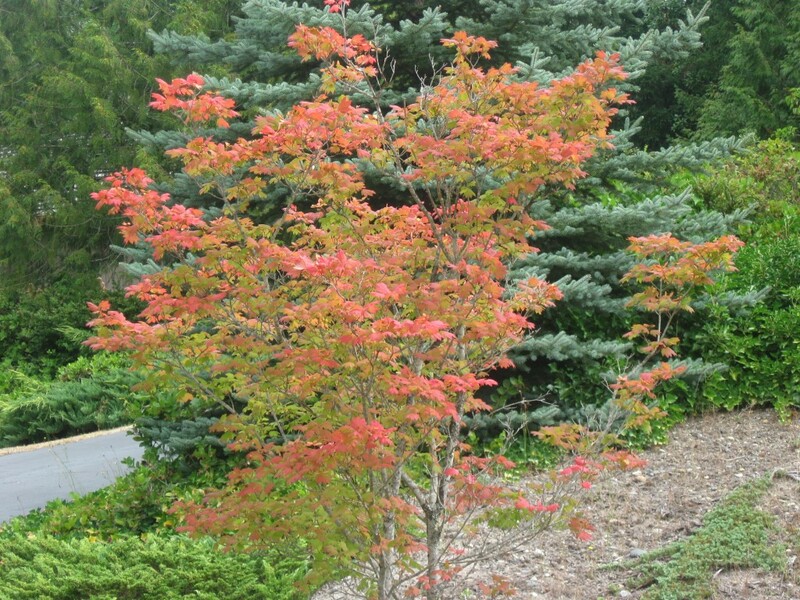 One has to wonder if the early tree color is related to the ultra dry conditions we had so early on this spring/summer. Guess we have to hope some gardeners or tree experts chime in on this. Maybe so, but have you noticed how brilliant the reds and oranges are already? Typically if the leaves were to be changing solely because of the dry conditions we’ve had, most would be brown and ugly looking. The trees outside are likely influenced by a mix of dry and cool conditions, because for the past several weeks we’ve experienced very chilly lows in the low to mid 40s. 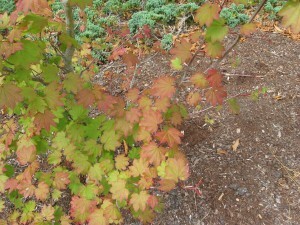 This can accelerate leaf coloration considerably, more so than dry weather. Remember last October? It was beautiful! In fact, a couple nights ago Bremerton recorded a low of 42 degrees! Brrr!